Following our path towards a semantic version control, we are totally aware of the great number of programming languages out there. Even if we natively support popular languages –such as C#, Java or C– we can't expect to cover all that ever-growing vastness. But we wouldn't like to let the Plastic SCM community think we've forgotten about them, either. 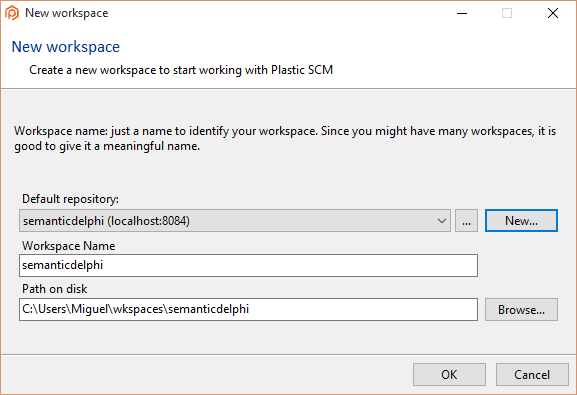 This is why we've allowed external language parsers to be plugged into Plastic since release Plastic SCM 5.4.16.689. Now, developers can collaborate with the community to implement custom parsers, which means support of virtually any possible language! There are, however, some rules that all custom parsers must follow in order to successfully communicate with the Plastic SCM semantic version control engine. 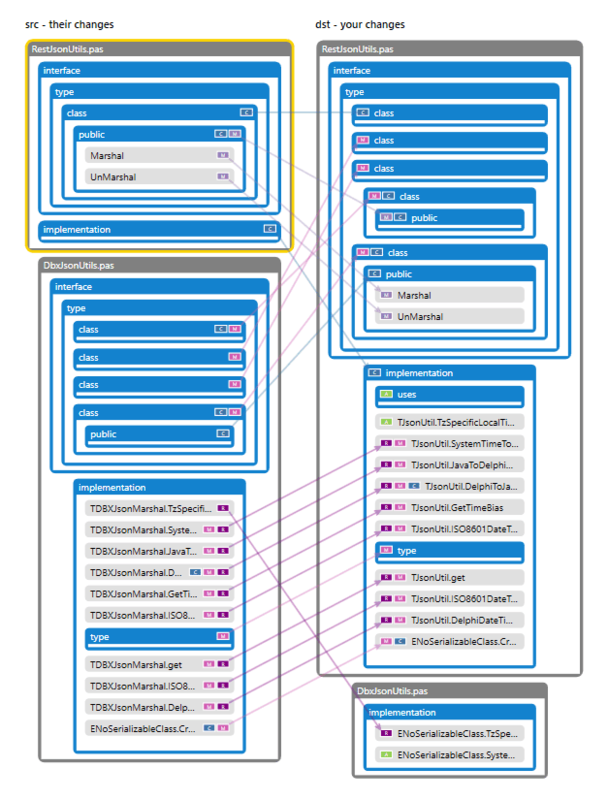 Wouldn't you love to have this kind of information right on your version control GUI? Keep reading, then! The first argument will be always shell, which tells your parser to indefinitely wait for user input (shell mode). The second argument contains the path to a flag file. The parser will need to create this file once it's ready to start parsing. It's useful to delay parsing requests until the parser has completed its initialization routines (if there are any). At this point, the parser should be waiting for input lines. Plastic SCM will write line pairs in the parser standard input. The first line will contain the input path, pointing to the source code file retrieved from Plastic. The second line will contain the output path, indicating the expected path where the parsed results will appear. Finally, the parser should exit if a line containing just the keyword "end" is received. The parser must write "OK" on the standard output after a pair of lines is received and the parse operation was successful, or "KO" if the parsing fails. YAML is a superset of JSON, so anyone who likes JSON better may write their results in that format and Plastic would still be able to understand it! All YAML output files will be encoded using UTF-8 and they can contain 3 types of data structures: file, container and terminal node. It is the root node, unique and required. children - set of containers and/or terminal nodes inside the file. If there aren't any, this field shouldn't be specified. children - set of containers and/or terminal nodes present inside the current container. If there aren’t any, this field shouldn’t be specified. Once everything is in place, you just need to tell Plastic where to find the parser executable and which file extensions should be matched. Once Plastic is restarted, any controlled file with one of those extensions will be processed by the semantic engine. 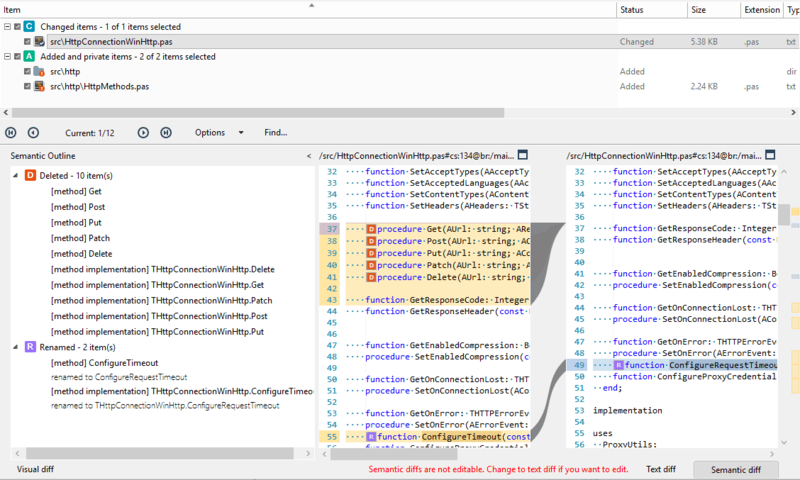 The related semantic version control information will be displayed on the diff views like any C#/Java/C controlled file. You've unleashed the power of Plastic! To help you get familiar with this external parser system we're going to guide you through a real case scenario: using an actual Delphi language parser. This was developed as a result of a forum thread: http://www.plasticscm.net/index.php?/topic/1857-delphi-parser-development/ by André Mussche and Jeroen Vandezande (great job, guys!). This parser was initially developed for SemanticMerge, but since Plastic uses the same inner mechanism it's a perfect match for our external parser test. You can download the parser from GitHub: https://github.com/andremussche/SemanticMergeDelphi. We'll assume the parser to be located at C:\Users\Miguel\SemanticMergeDelphi, so the parser executable path will be C:\Users\Miguel\SemanticMergeDelphi\pas2yaml.exe. After that, open the Plastic GUI. We'll create a new workspace called semanticdelphi at C:\Users\Miguel\wkspaces\semanticdelphi, pointing to a new repository called semanticdelphi as well. Clicking on the "OK" button will create the workspace and the Plastic GUI will open up afterwards. 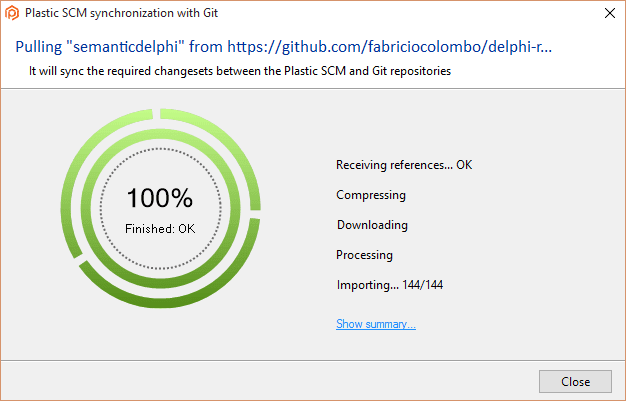 We'll use GitSync to retrieve the contents of a sample GitHub repository for our tests: https://github.com/fabriciocolombo/delphi-rest-client-api. 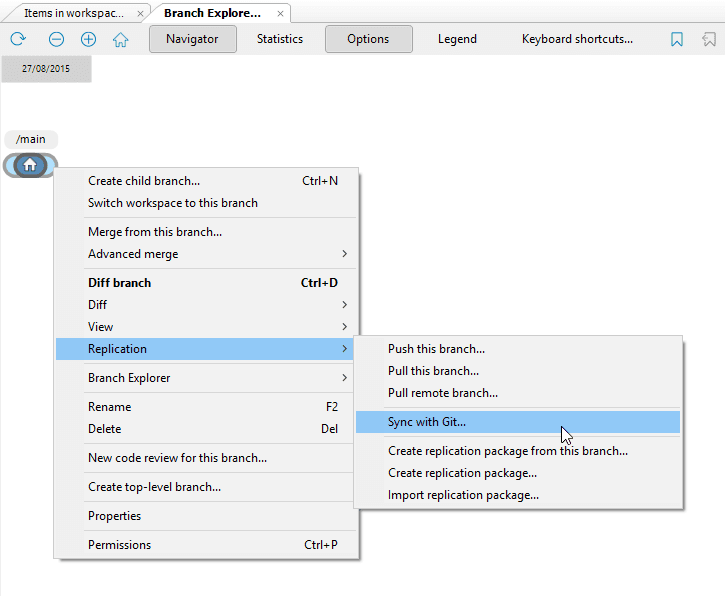 Once the replication is complete we'll go back to the workspace explorer and we'll update our workspace to download the source files. But we're not going to stop right here! Let's see what Plastic is capable of. 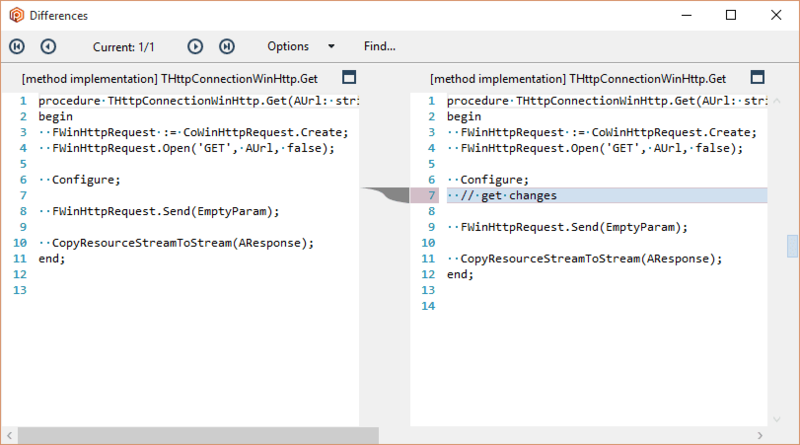 We're going to move some methods to a new file and add it to version control. Plastic is designed to analyze a set of files and extract refactors across all of them. We published this feature some days ago, you should definitely see it for yourself! It worked! You can see how Plastic found out what we had done and properly arranged all methods moved across files. Now it's your turn! Find a suitable parser for your language of choice and let Plastic understand your code! 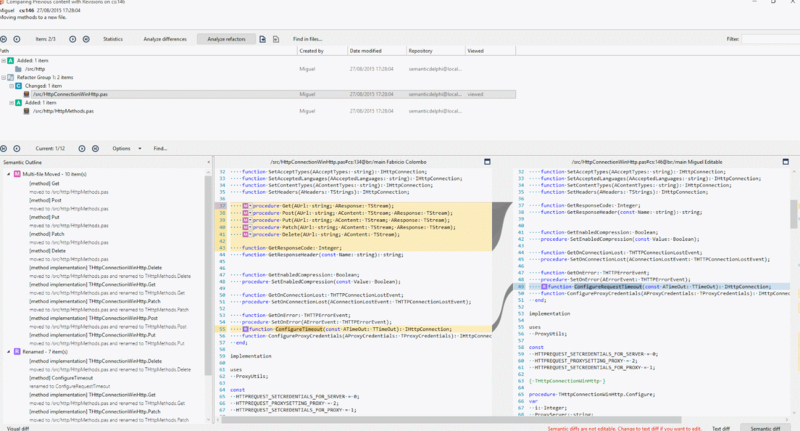 Remember to stop by our other nice blogposts about semantic version control and tracking refactored code across files. And don't forget to have some semantic fun! Prior to become a Plastic hard-core developer, I worked in a consulting firm in France where I also finished his Computing Engineering master's degree. I'm a Linux enthusiast (I was the one developing the Plastic SCM linux packages), heavy-metal guitar player on a band, LP collector, youtube expert and talented Plastic hacker. You can find me at @TheRealMig_El. Does this mean you're not going to finish the C++ parser ? Not really. I don't think the C++ parser can be implemented externally unless I'm missing a key simplification, which would be great to find. 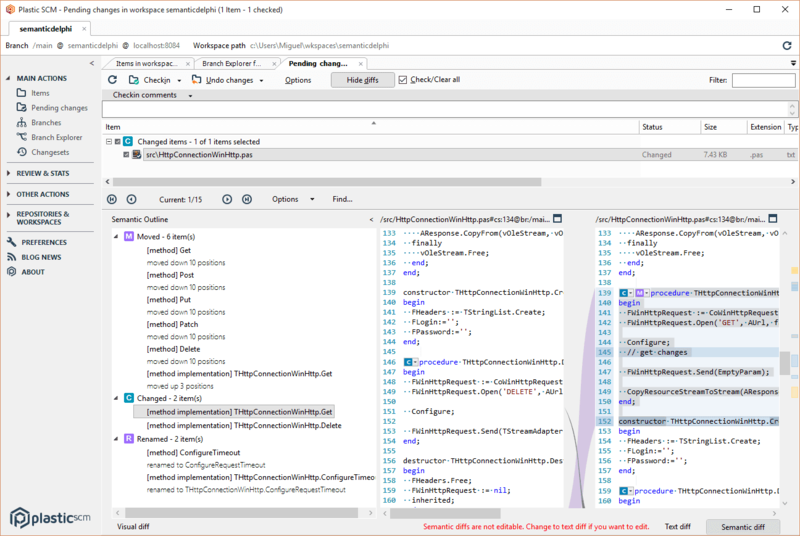 Parsing C++ requires accessing include files, even for a single source file. And the files to be accessed could be outside the working copy, or belong to previous versions, so some sort of interface to access the right file on src and dst will be requried. Going back to the C++ specific stuff: we're using libclang to parse C++. Trying to implement your own parser, for C++, is ... well, crazy, because it is probably the hardest to parse. * Parse about 2 million files. * Convert them to our intermediate structure (sort of an AST). * Rebuild the original file from the intermediate. * Check we don't break anything - if we do the parsing wouldn't be good enough for merging... cause coders, for some reason, don't want the merge tool to break their files XD.